Troy Ave is gearing up to drop his album "New York City" on November 4th and today he comes through with a Tony Yayo-featured leak that references 50 Cent's "In Da Club." 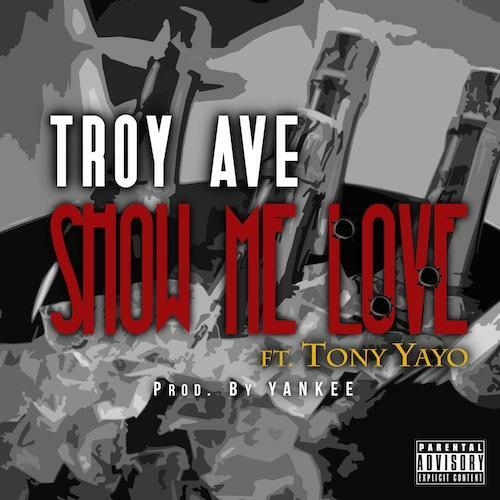 Stream Show Me Love (Tags), the newest drop from Troy Ave which features Tony Yayo. The cut was released on Friday, November 1st, 2013. Troy Ave continues to impress with each new leak, and Show Me Love (Tags) is no exception. It's strengthens Troy Ave's already impressive body of work, which has seen positive change over the years. We're most definitely anticipating Troy Ave's next offering. Hear more of Troy Ave on Classic Feel (Prod By Mally The Martian). If you dig this, visit Troy Ave's profile for the latest info, news, songs, and mixtapes. Check out Troy Ave's Facebook and Twitter. What do you think of the features on this track? How does this compare to Troy Ave's previous work?